COLUMBIA, TN — Her mouth got dry testifying in federal court for her lawsuit alleging violations of her civil rights. 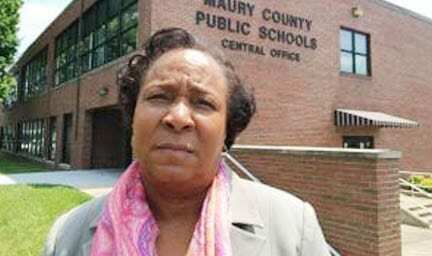 “It does that when I have an anxiety attack,” Patricia Hawkins said a day after settling for undisclosed damages sought since her 2015 dismissal by Maury County Public Schools. “I looked to the judge and asked if I could take a break,” Hawkins recalled. U.S. District Court Judge Barbara Holmes granted a five-minute break that was extended through lunchtime. 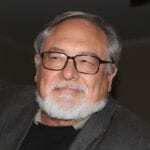 The educator with four decades of experience stepped from the witness stand. Schools Director Chris Marczak entered the courtroom during the break. No dollar amount is stated publicly, but it will be public record. In similar cases, litigation costs have been found in audits and/or spending accounts. Hawkins first sued the school system for her unwilling transfer from one school to another. It was for the “efficient operation” of schools, then-Schools Director Eddie Hickman wrote. In depositions, he said he thought Hawkins would be happy in a school with a black principal. At the next school, a white woman succeeded a black man as principal. Hawkins’ job evaluation scores went down. Marczak succeeded Hickman and Hawkins wrote to the new director about the system’s problem hiring and keeping black employees. Marczak wanted background on Hawkins. Amanda Alexander, now chief of staff, responded from the human resources department saying Hawkins’ transfer was for reasons including race. A one man, five women jury, including a black woman, was told if race was a motivating factor for the transfer and subsequent dismissal — discrimination and retaliation — then a verdict for Hawkins was required. With advanced degrees, Hawkins would be earning $60,877 this year as a counsellor, according to statements in court. Her lost pay was $208,500. Hopkins sought compensation for emotional pain and suffering. Her legal fees are part of the settlement, Judge Holmes was told. No statement was made about employee benefits. “I’m at peace,” Hawkins said March 28. Through the NAACP here, Hawkins helped the school system look for minority employees. She was: a school representative in the Maury County Education Association; and was elected to the county commission while fighting for her job. The elected position came with a vote on the schools’ budget. She asks, “Why am I fighting for people who aren’t fighting for themselves?” That includes: teachers who aren’t education association members; people who aren’t NAACP members; and constituents who sought help. Now, she has family concerns and plans to make. For more, search for Patricia Hawkins at tntribune.com.